I’ve traveled to many places in Europe but Italy, sadly, had never been on my agenda; I’ve just never gotten that far south. My domain has been Scandinavia and northern Europe, but as I’m starting to be exposed to new ideas and fresh faces, new places happily follow. I, Claudius by Robert Graves: Historical novel set in 1st-century-AD Rome, published in 1934. 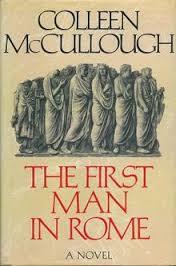 The book is written as an autobiographical memoir by Roman emperor Claudius. Physically weak, afflicted with stammering, and inclined to drool, Claudius is an embarrassment to his family and is shunted to the background of imperial affairs. The benefits of his seeming ineffectuality are twofold: he becomes a scholar and historian, and he is spared the worst cruelties inflicted on the imperial family by its own members during the reigns of Augustus, Tiberius, and Caligula. (Goodreads) The television series is fantastic, too. 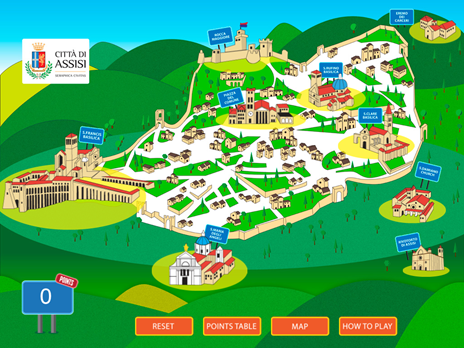 For history buffs, I have recently been made aware of an app designed especially for families traveling to Italy (by an awesome father-son team ), designed to teach history while having a good time. The website is Gumshoe Tours http://www.gumshoetours.com/home.html, and the creators have completed tours of both Rome and Assisi, with hopefully more to come. There is also an attached “Life in Italy” blog by one of the creators, an American who has lived in the country for some time. So read and play, and tell me all about it when you return! 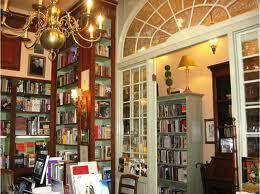 You’ve got to love small presses! 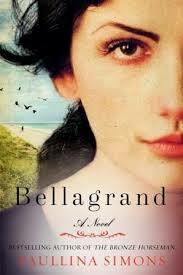 I have just turned in my review for Paullina Simon’s Bellagrand. Ohhhh….it’s a heart breaker. Similar to The Bronze Horseman. Hold on to your hearts if you decide to read it, and I will post the review here after the May issue of The Historical Novels Review is published. 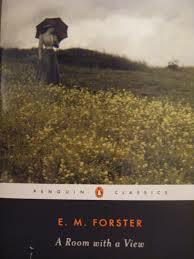 I also reviewed The Daring Ladies of Lowell by Kate Alcott….not impressed. Sarah Johnson at Reading the Past has been posting galleries of upcoming small press titles, and her latest post of international titles is fascinating. THESE are the kinds of books that readers like me are hankering for-exotic locations (to us Americans, of course) and different themes than the usual fare we see in the States. One book in particular makes me chuckle, as I’m so unused to seeing American settings from an international point of view: The Hedge by Ann McPherson, set in 17th century Hartford, Connecticut. To Canadians, Connecticut must sound exotic, but it’s hard for me to imagine, being a native New Englander, someone conceiving of Connecticut the way I view Bombay… But everyone’s home is exotic to someone somewhere else. Enjoy perusing Sarah’s list, and I will be writing up a review for Liza Perat’s haunting second novel, Wolfsangel, as soon as I can finish it. So far, three books for the 2014 Historical Fiction Challenge- that puts me on the road toward being a Victorian-level reader….oh the things we book lovers do for kicks! Richard Sharp, author of The Duke Don’t Dance and Crystal Ships, writes about why the 60s should be considered an intriguing candidate for historical fiction exploration, outside the well-known social upheaval and Vietnam War…. A new year, a new challenge. 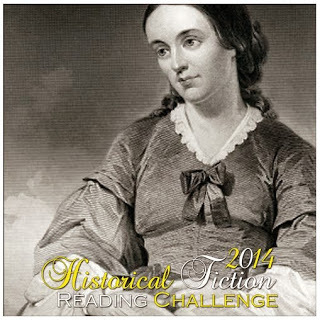 Since I read exclusively historical fiction anyway, I’m going to join Historical Tapestry’s 2014 Historical Fiction Reading Challenge. Motivation is always best from the outside, for me at least! I wonder what I’ll be able to accomplish this year. I’ve already read one, so I’m halfway to a 20th century reader, YES! I challenge myself to the medieval level….let’s see if I can mange it! Anyone want to join in? So far this year, I’ve read Escape from Paris by Caroline Hart, and The Daring Ladies of Lowell by Kate Alcott. Currently reading Wolfsangel by Liza Perat, and my next review book is the upcoming prequel (to The Bronze Horseman) by Paulina Simons, Bellagrand. Not a bad start to the year. I give up. Life has become so hectic as a parent and full-time employee, as well as doing my volunteer job for the HNS, that I can’t keep up with this blog. I don’t expect to have followers when I am unable to post regularly. Rather than trying to be a professional blogger, I am just blogging on a personal basis. Blah, blah, blah. Set in Anglo-Saxon England, this is a reimagining of the legend of Lady Godiva, Countess of Mercia, an 11th-century noblewoman well-known for riding au naturel through Coventry to relieve her people of unfair and oppressive taxation. Godiva’s unlikely friendship with Abbess Edgiva of Leominster, who has her own troubles, and her playful relationship with her husband, Leofric, also play major roles. The novel is well-written with colorful description and detail; however, this reader chafed at elements of predictable and clichéd plotlines, such as the abbess’s pregnancy resulting from a one-night stand, and Earl Sweyn’s attempt to “abduct” her from the abbey. The notion of a countess playing matchmaker for an abbess, in the first place, pushes the limits of believability. The most troublesome aspect, however, is the difficulty sympathizing with Godiva’s plight, as the countess is not portrayed as a sympathetic character—she is a woman who outspokenly prides herself on her ability to manipulate men for personal gain and expresses no remorse about doing so. Therefore, when the king offers her a choice of punishments, either to literally bare herself to the people of her town, or surrender the lucrative holding of Coventry, this reader could not summon up sympathy for her dilemma. Godiva engages in a game against a crafty opponent, and King Edward gets the best of her. The plot’s power to engage hinges on the reader’s sympathy for Godiva, which is simply absent in this case. As much as I want to be able to recommend this book, unfortunately I found Godiva uninspiring. 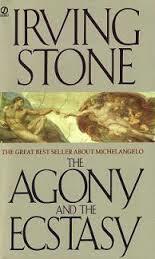 Obviously, I wasn’t very taken by the book, and I hope my review explains why well enough. After returning from the HNS conference, I dove right into one of the books that was given away in our gift bags, Letters from Skye by Jessica Brockmole. I was in the mood for a good old-fashioned WW2 tear-jerker of a romance, and that’s exactly what I got. I loved it. A multigeneraltional tale of love and loss (to put it simply), it was smoothy written, fast-flowing, and engaging. Right now I am working on another two review books, Jonathan Grimwood’s The Last Banquet (the Europa publicist raved about this one) and The Daring Ladies of Lowell by Kate Alcott. The latter novel struck my interest because when I lived in Boston, I was exposed to the fascinating history of the Lowell textile mills, and the class struggles that ensued in the factory towns. The smell of textiles is still pungent when you tour one of these mills. Many have been turned into condos and there is still that eerie smell when you walk inside- talk about living history! THIS is the reason I love historical fiction. To that list we’ve added all the books suggested by the panel audience, with the intention of starting a miniature database on our websites. This list is not exhaustive and will continue to grow, so check back to see what’s been added, and please do send us your own suggestions!